QUESTION 1: Why do you like so much novelty on the instruments you play as opposed to many other traditional guitar? QUESTION 2: I though that there was only one kind of Rosewood, could you please show different kinds of exotic Brazilian rosewoods? QUESTION 3: I learned that the bridge is one of the most important parts of the guitar, considering the significance of all what happens on the bridge, is it true that pick up installation on a guitar can negatively change the sound of a guitar? QUESTION 5: What if we are not aware of what we expect from playing guitar? QUESTION 6: Lately I notice that I struggle to practice and I feel a bit awkward concerning this because I have to force myself to play, what do you think about this? 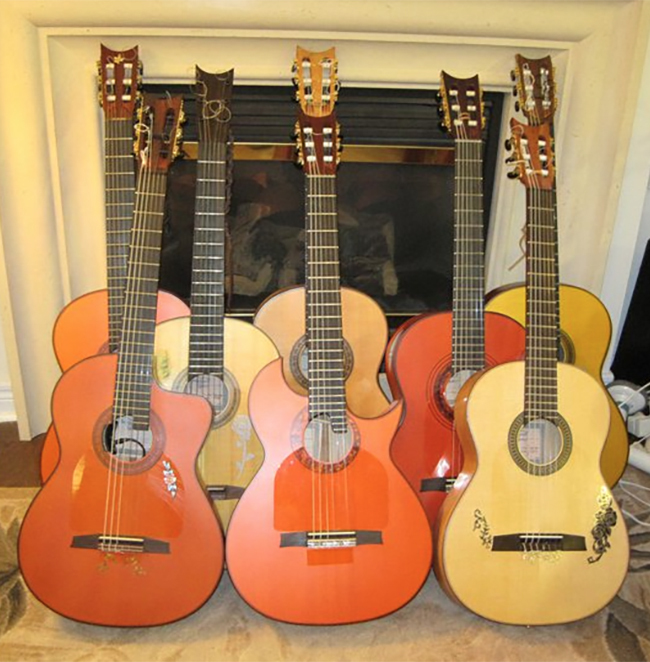 QUESTION 1: Why do you like so much novelty on the instruments you play as opposed to many other traditional guitars? QUESTION 2: I though that there was only one kind of Rosewood, could you please you show different kinds of exotic Brazilian rosewoods? In the following video, Mr. Bob Taylor talks about the current extinction of the Ebony wood and what he is doing to help saving this precious wood. A very interesting video. Enjoy!